Are those branches of a tree? Is it coral? 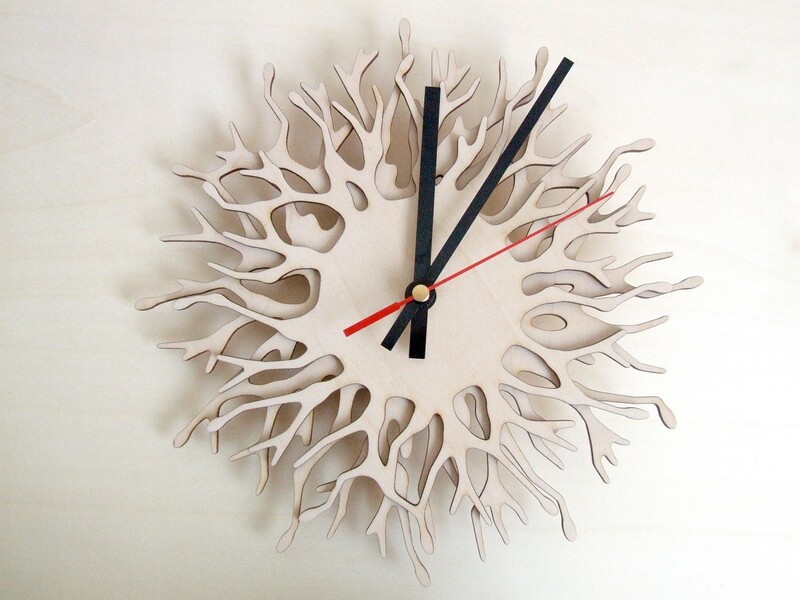 Natural growth processes were the inspiration for the shape of this wall clock. The clock has small bumps at every hour to indicate the time. The sides of the coral branches are black, creating depth and contrast. 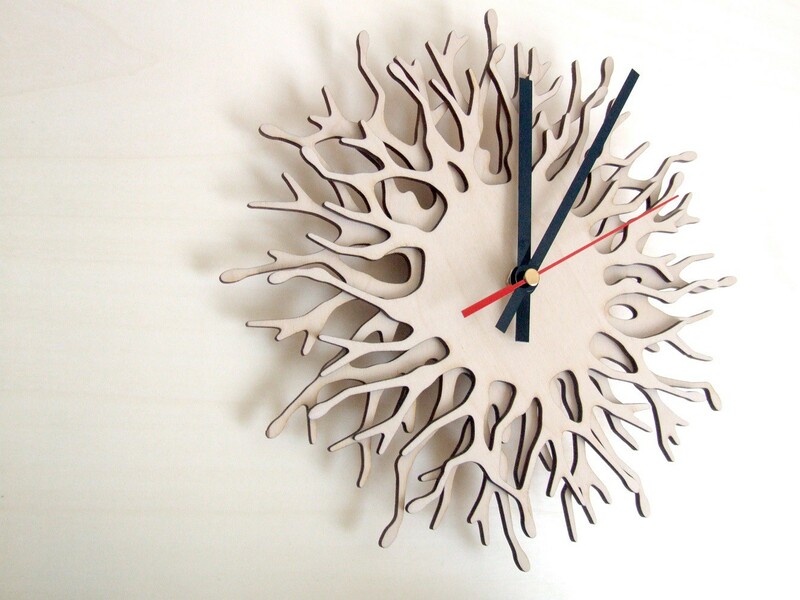 Natural growth processes were the inspiration for the shape of this wall clock. Especially the capricious shapes of coral. Because the side of the wood is black, depth and contrast are created. 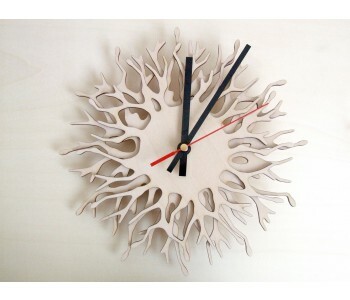 An ideal clock for everyone who loves organic home accessories. 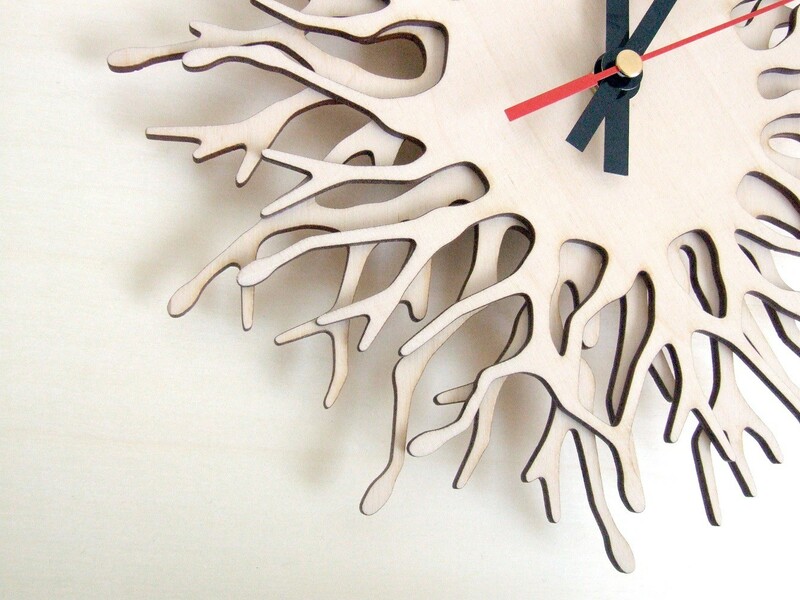 Every Coral Clock is made of birch wood and has been cut to size using a laser cutter. The front side is sanded smooth. 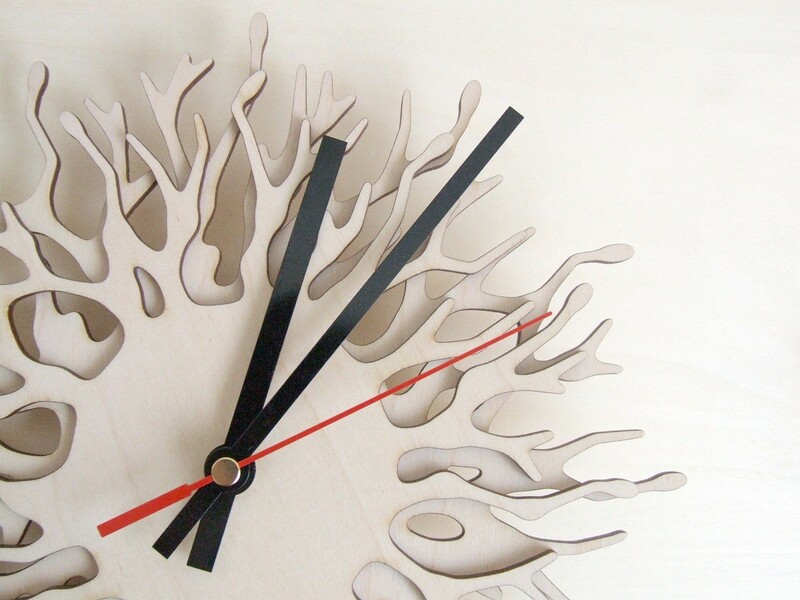 The clock has a natural color of birch wood. The clock runs on a single AA battery (not included). Coral is a collective name for sea creatures of the Anthozoa class. These are small-sized creatures that, because of their tentacles, look like sea anemone. 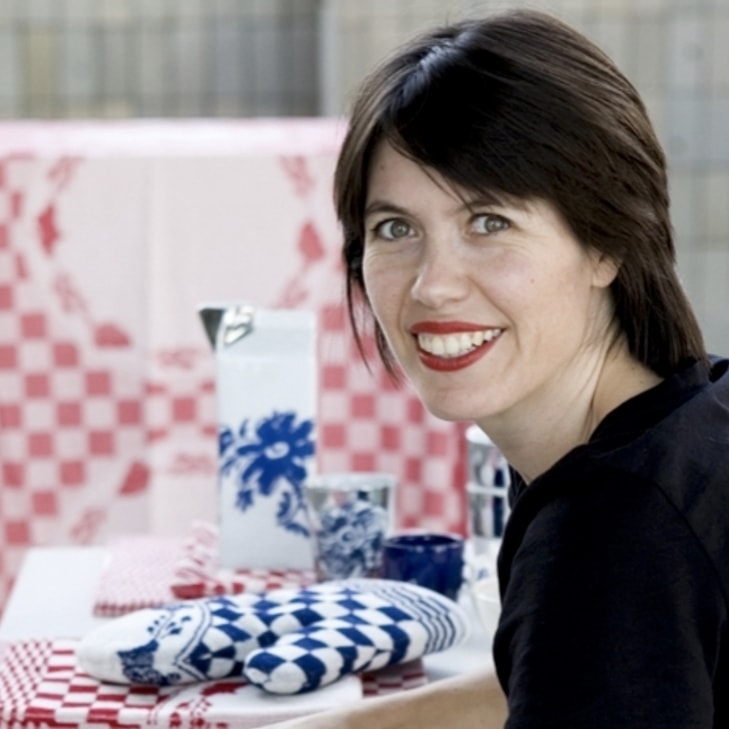 These creatures often live in colonies. Coral colonies are often part of coral reefs. Today there are 4,500 known species of coral. They often form large colonies and reefs, such as the 2300km long Great Barrier Reef near Australia. Corals grow in all warm and clean seas and oceans.